Sometimes, the path God leads us on takes an unexpected turn. 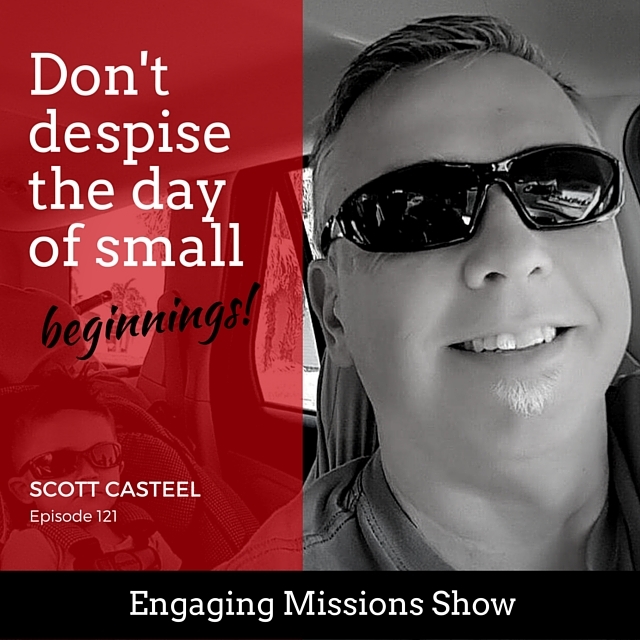 That's a bit of an understatement for this week's guest, Scott Casteel – he was the pastor of a small church, which became even smaller under his leadership. After hearing about Four Fields and other forms of church planting, Scott wanted to see that take shape in his community. He's begun using the principles and loves discipling others to share the Good News of Jesus. And he believes they are exactly where God would have them and is excited about what God is doing. [02:15] – What role does your wife play in ministry? [18:02] – What does discipleship look like? [23:38] – How is this different from small group? [26:20] – What fuels your passion? [27:47] – What would you do differently? The absolute thing that is my passion and fuels me is that I am going to stand before God. Don’t despise the things of small beginnings. Everyone is on an equal playing field, according to the Gospel of Jesus.